Captain John Smith first discovered Prince William County during an expedition in up the Potomac River in 1608. Smith found the region inhabited by Anacostan, Doeg, Iroquois, and Piscataway Indians. The first known colonial settlement was founded in 1722. In 1730, the Virginia General Assembly carved out an area approximately 2,000 square miles in size and named it Prince William County. At that time - all of Northern Virginia was known as Prince William. In the late 1700s, the county was divided into what today is Arlington, Fairfax, Loudoun, and Fauquier Counties. 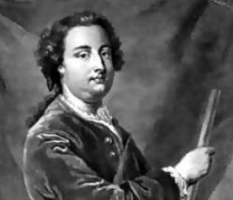 Economic and political displeasure with the British government reached a breaking point for Prince William colonists in 1773. As England had ordered all colonial governors to cease granting lands, except to veterans of the French and Indian War, further financial strains were wrought against the colonies through taxation. In 1774, under ever-mounting pressure, the Virginia Convention adopted resolves against the importation of British goods and the importation of slaves. The Virginia convention also required each county to form a volunteer company of cavalry or infantry. Prince Willia m had already formed a volunteer unit a year before. The Independent Company of Prince William, under the leadership of Captains William Grayson and Philip Richard Frances Lee, was a volunteer unit comprised of 40 plus infantryman. Many troops from the Independent Company of Prince William, joined others from around the state to form two (COLONY) regiments sanctioned by the third Virginia Convention in 1775. After the start of the Revolutionary War, the remaining troops of the "Company" became known as the Prince William District Battalion in 1776. In June of that year, Captian Grayson was appointed Assistant Secretary to General George Washington. The War ended and news of the ratification of the Treaty of Paris between the United States and Great Britain reached Virginia on February 3, 1784. Prince William County soldiers returned home to their families. Although there was heavy troop movement through the County from all sides, it escaped the massive destruction leveled against Richmond. The County wasn&apos;t as fortunate, however, during the Civil War. Before the Civil War, the population of Prince William County reached 11,000 and the African American population was 43.4 percent. Many African Americans in Virginia at this time were free from slavery and indentured servitude. Virginia legislators passed a law in 1782 permitting the freeing of slaves, however, colonies further south did not participate in similar legislation. Haymarket emerged as a large population center in 1799, with Occoquan following in 1804 and Brentsville in 1822. The County thrived through the early amid-1800’s. The railroad era began in Virginia around 1811 and in 1851 the railroad reached Manassas. Manassas Junction brought a new form of shipping and travel to the area. It also became a crucial stratagem for cutting off supplies to either side throughout the War. The first threat to the railroad junction was the Battle at Blackburn’s Ford after Virginia seceded from the Union in 1861. Although the Battle at Blackburn’s Ford was short-lived, it was a prelude to the First Manassas battle three days later. First Manassas at Bull Run was the first major land battle of Union and Confederate armies in Virginia after the Confederate takeover of Fort Sumter in South Carolina. The Union objective was to seize the Manassas Junction Railroad. Thomas J. Jackson earned his very famous nickname “Stonewall” Jackson towards the end of this battle. Many lesser-known battles were also fought in the County; they include Cockpit Point, Manassas Station, Chapman’s Mill, and Bristoe Station. Cockpit Point, a stretch of shoreline along the Occoquan River, is where the Confederate army formed a blockade at the Potomac River to cut off supplies to Washington. The Battle at Manassas Station was a Confederate victory where the Union supply depot at Manassas Junction was destroyed. The skirmish near Chapman ’s Mill ensured another Union defeat at the Second Battle of Bull Run; a swift Union retreat allowed two Confederate battalions to join together. This single seemingly inconsequential action virtually ensured the Union Army defeat during the Second Battle at Bull Run. The last battle fought in Prince William County was at Bristoe Station in 1863. A Confederate corps happened upon a retreating Union army at Bristoe Station and attacked. Other Union soldiers in the area countered the small corps and captured the Confederate battery of artillery. In 2011, Prince William, Virginia commemorated the 150th anniversary of the First and Second Battles of Manassas/Bull Run. The re-enactment featured living history demonstrations, speakers, art, music, and historical commemoration activities. Manassas became a town in 1873. In 1892 Manassas became the County Seat for Prince William. Rebuilding the area to its former glory was almost an impossible task for locals. Grand manors and local businesses blighted during the War were replaced by modern inventions and post -war architecture. The railroad was reconstructed and expanded westward. Education became more important and schools sprung up - almost overnight. Ironically, a former Union Army Officer, George Carr Round, relocated to Manassas and helped to build its first public school. He later served on the Town Council and was a member of the Virginia General Assembly. 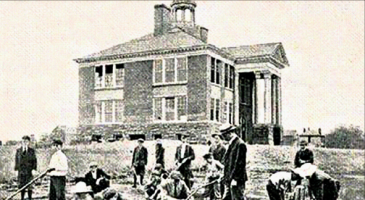 Many schools and colleges opened in the County including the Manassas Industrial School for Colored Youth and Eastern College. 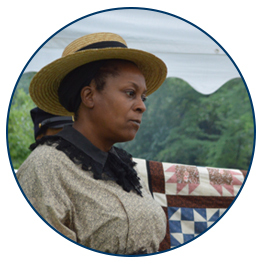 The Manassas Industrial School for Colored Youth was founded by Jennie Dean in 1894. The purpose of the school was to improve the moral and intellectual condition of the youth placed under its care. Eastern College attracted students from over 22 states and 2 foreign countries. Eastern was transformed into a military academy and later closed in 1935. Other academies and military schools opened in the area in the early 1900s. The ultimate military training academy of a sort was founded on a peninsula southwest of the Town of Occoquan, on the Quantico River in 1917. The Quantico Marine Base became an official training facility for the Navy before World War I and was one of the first Marine training centers not housed on a Naval base. The Town of Quantico, surrounded by the training center, was incorporated in 1927. After two World Wars and the incorporation of the cities of Manassas and Manassas Park in 1975, present-day Prince William County is a thriving and diverse community. Prince William was the birthplace or home of many notable personalities including George Mason II, Henry Lee III (the father of General Robert E. Lee), William Grayson, John Ballendine, Parson Mason Locke Weems, Benita Fitzgerald-Brown, the Chinn Family, Simon Kenton, Jennie Dean, James Robinson, Wilmer McLean, and many more. Prince William County Historic Preservation Division of the Department of Parks, Recreation, and Tourism is the proud caretaker for the community's treasured artifacts and historic materials. Staff collects preserves exhibits and interprets these items on behalf of Prince William County. Our efforts support the County's goals to preserve our rich historic resources.